Crystallon is an open source project for creating lattice structures using Rhino and Grasshopper. It was developed at FATHOM by Aaron Porterfield as an alternative to commercially available software for lattice design. 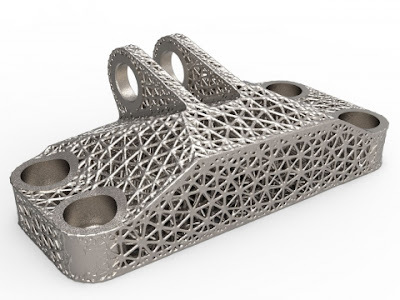 The obvious advantage is the ability to generate lattice structures within Rhino’s design environment without exporting to 3rd party software, but the extended advantages include the modularity and ability to combine other powerful tools available for Grasshopper.